The graphics below are from the NOAA Weather Prediction Center's Probabilistic Winter Precipitation Guidance page. The graphics depict chances for freezing rain at 0.10 and 0.25" accumulation from 6am Friday, December 6, to 6am Saturday, December 7. What these two graphics represent is the accumulation potential for that timeframe. The colors do not represent total accumulation - they illustrate the probability of an amount in a given timeframe. 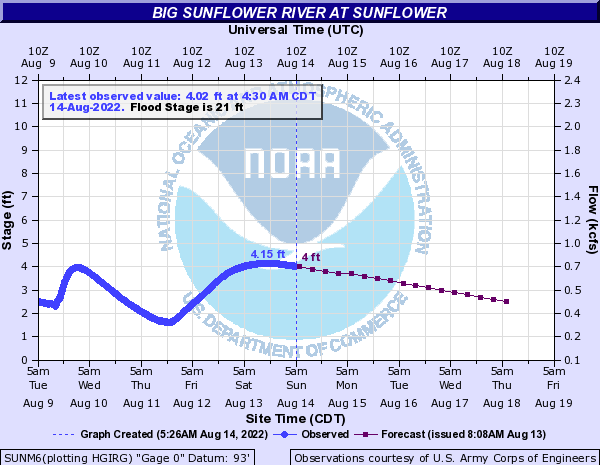 Bolivar, Washington, Sunflower and a good portion of Leflore counties will very likely see amounts of 0.10" or greater, as illustrated by the first graphic. For the same counties, the second graphic shows a lower probability of accumulation greater than 0.25"
In short, expect between 0.10" and 0.25" across the western Delta counties Friday afternoon and overnight into Saturday.